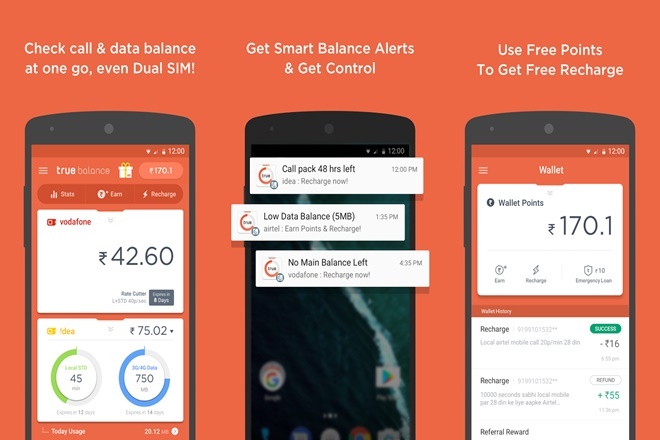 Delhi, India: True Balance, one of the top applications in the lifestyle category on Google Play Store added a mobile wallet feature today, marking its entry into the fintech business in India. Having received a nod of approval for wallet license from the Reserve Bank of India (RBI) earlier this year, the mobile balance checking company has now launched its new mobile wallet feature enabling next generation payment method. This feature will allow users to add money to wallet, do faster recharges and do peer to peer money transfers. Moreover, it will also enable users to transfer wallet money to one’s bank account. True Balance wallet is RBI compliant and keeps data security of users at utmost priority. In the past, users recharged their phones by using a credit or debit card or points earned through referral system/in-app activities or offers. Now, True Balance’s mobile wallet will allow users to freely deposit money to their True Balance Wallet thus facilitating easy phone recharges.